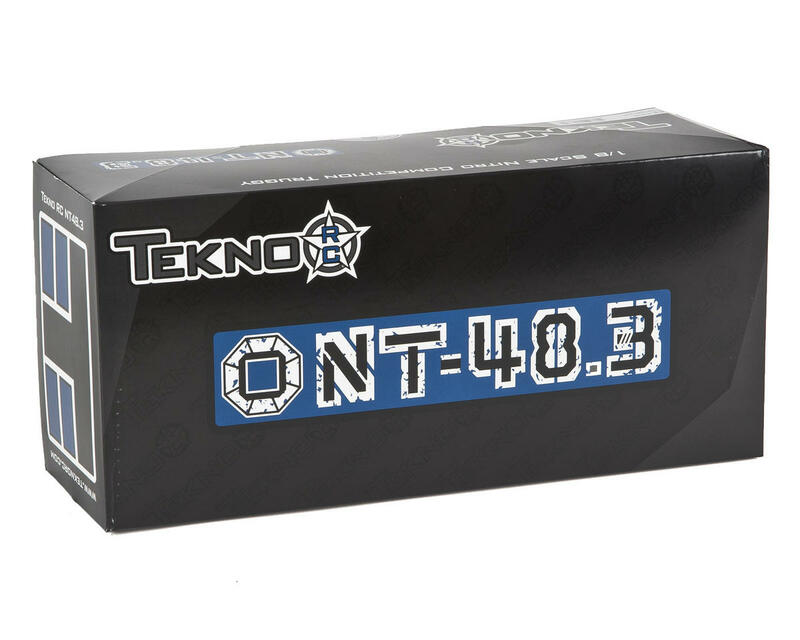 This is the Tekno RC NT48.3 1/8 Scale 4WD Off-Road Competition Nitro Truggy Kit. 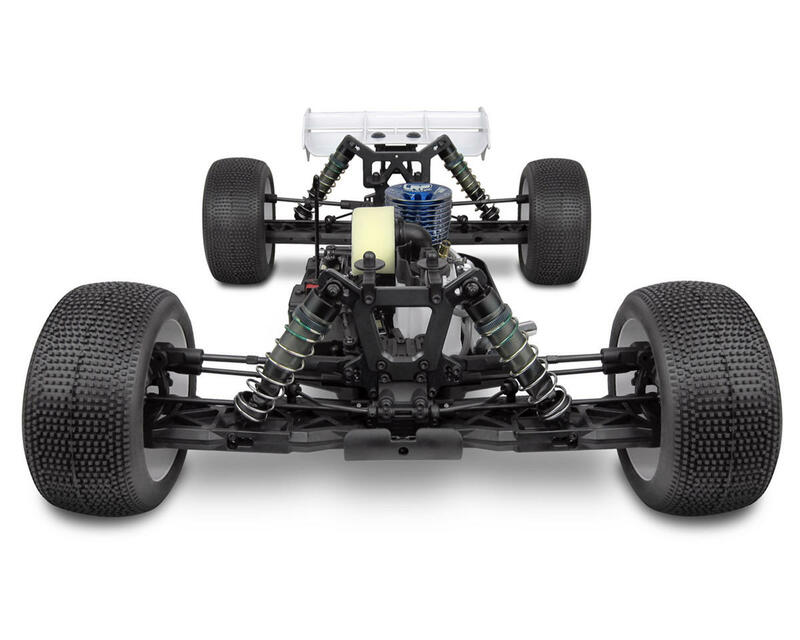 The latest version of the nitro 1/8 truggies series, the NT48.3 is faster, nimbler, easier to drive and incorporates some forward thinking that breaks the mold of what a nitro truggy is supposed to be. Tekno started with an updated chassis (TKR5407). The ET48 and NT48 proved that moving weight forward results in better cornering so they eliminated the rear engine configuration from the NT48.3 and concentrated on optimizing the handling and flex characteristics of the front engine layout. This improved the gear mesh between the clutch bell and the updated 46t spur gear (TKR5119) and also helped to calm the rear of the car. Another area that received an update was the braking. Larger, fully CNC machined, hardened, and ground discs (TKR5345B) replace the old parts. Improved semi-metallic brake pads (TKR5314B) are now separated by springs (TKR5368) to ensure the brakes are only engaged when you want them to be. The biggest change made to the brakes however, is with the linkage (TKR5336B). An updated brake system was designed for better consistency and easier brake bias adjustments. 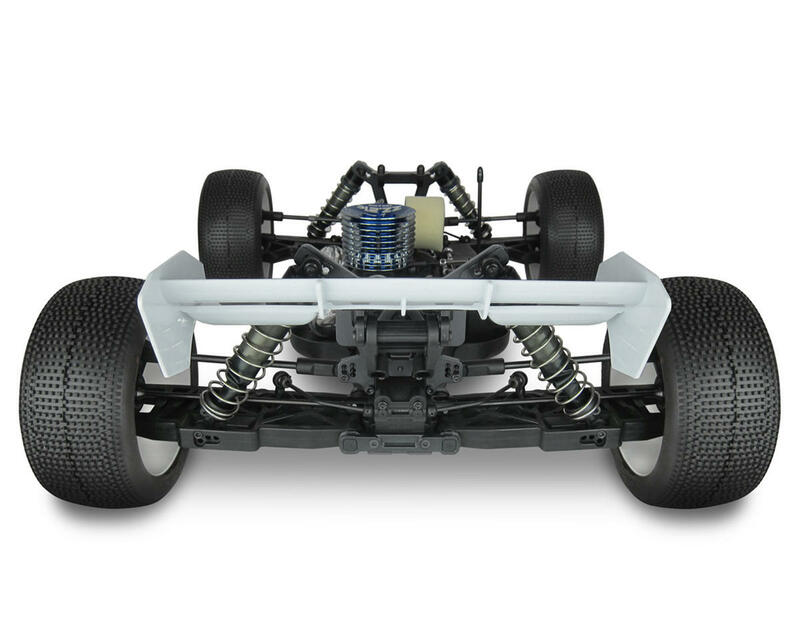 Updated rear hubs (TKR5199) allow the option of using the stock CV axles or upcoming universal driveshafts. Tekno now also offer the rear hubs in aluminum as an option (TKR5199A). At the front of the vehicle are updated trailing steering spindles (TKR5193) and spindle carriers (TKR5194). 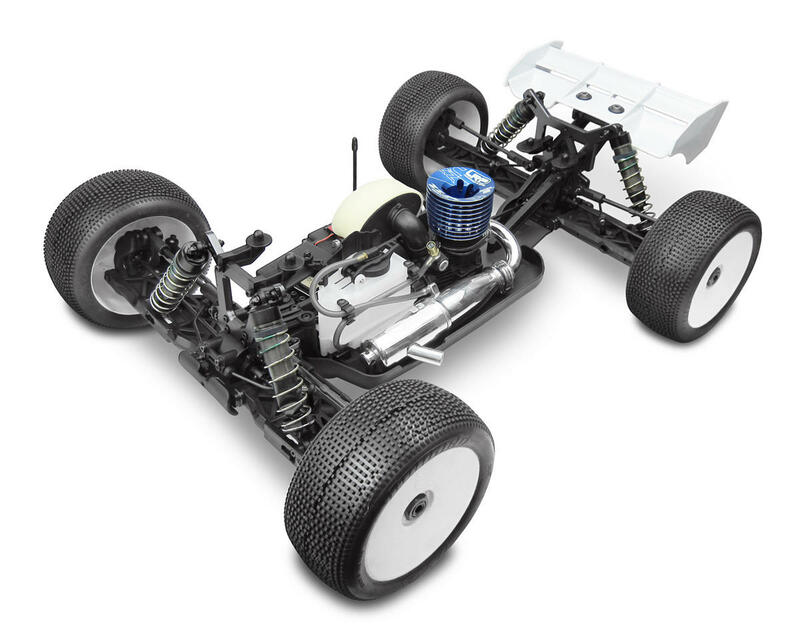 The trailing components vastly improve high speed bump handling in addition to smoothing out the steering response. The vehicle initiates turns more predictably and finishes corners better than ever before. Larger bearings are now fitted to the front spindles for improved durability. The spindles will also accommodate upcoming universal driveshafts. The V2 hinge pin braces (TKR5161, TKR5162, TKR5163, TKR5164, TKR5165) have found their way into the NT48.3. They provide more adjustability than ever before. For example, changing the roll centers at the hinge pin is now an easy task and allows you to set up the vehicle for any track conditions. Front arm sweep, kick-up, rear anti-squat, and rear toe are all adjustable. 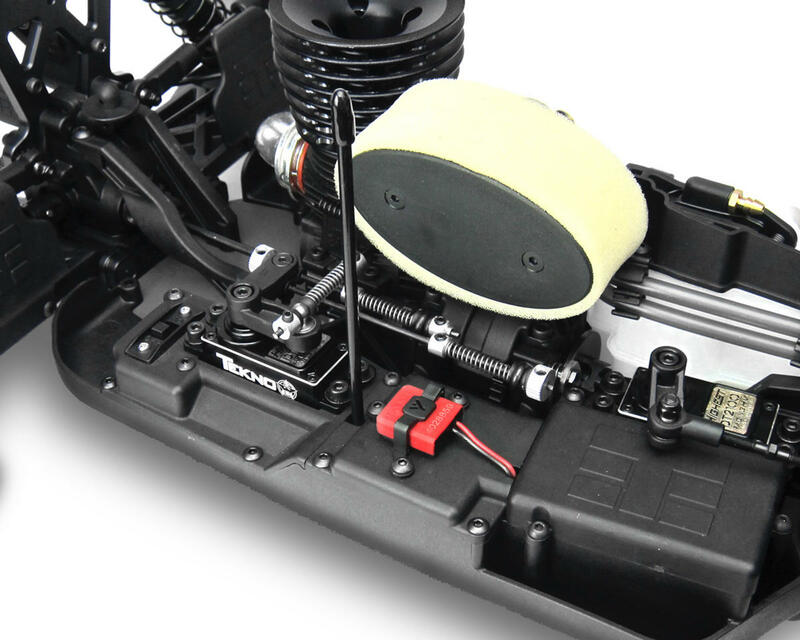 The Tekno low profile wing mount (TKR5181) is included to lower the CG of the whole vehicle. A revised front bumper (TKR5166) increases front ground clearance. Straight camber link rod ends (TKR5187) were produced to improve consistency in corners. Clamping spring perches (TKR6140) and updated shock boots (TKR6144, TKR6145) are included to keep the shocks clean, smooth, and trouble free. Finally, the box setup has been tuned by some of the best drivers in the world to give customers a vehicle that they can confidently drive in most conditions. With the extensive list of adjustments and improvements, it is easier than ever to tune the vehicle to your driving style and track conditions. Build went great. All the parts fit perfectly and manual was very clear. The manual does show 4 fuel line clips and my kit only had two. I called Tekno customer service and left a message. They called me back in less than five minutes and said the Truggy only has two clips and to route fuel line right to carb instead for wrapping around fuel tank. I installed a NovaRossi Bonito .21 along with NovaRossi manifold and pipe. The setup along with kit absolutely rips. I would recommend getting a aluminum servo horn for steering. People complain about dif shims in Tekno products and I don't see the issue. This is my second Tekno build and have never had a problem. Unlike other brands, its the only part you shim. Another amazing Tekno product. Highly recommend.